It has been said that life does not require that we be perfect. It requires that we learn. There are 7 lessons that each one of us must learn and travel with in this journey of life. These are not the only lessons life may require us to learn, but they are definitely on top of the list. Self love is more important than the love of others. Before you expect the love of another, you must love yourself. It must never get into your head that happiness has to do with what you have. No amount of money can buy you happiness. If you want to be happy you must choose to be happy, regardless of what does happen or doesn’t happen. It’s as simple as that. Happiness is a decision you make. In this life, things do go wrong-and they will go wrong! The most important thing is to learn to forgive those who step on your toes. Now, if you have noticed, most people who step on you won’t notice it. It is your duty to tell someone if they are hurting you. Sometimes, you will screw up. Learn to say “I am sorry”. You must also learn to forgive yourself. You must learn to be patient with yourself, and with others. Patience is a virtue. We all know that FEAR is simply False Evidence that Appears Real. Before you can conquer the world, you must conquer your fears. The way to conquer your fears is to face them. Life is a series of partings. The old must go in order to make way for the new. There are things you need to let go in order to create a life that you envision. The habits of yesterday will only take you where they took you before. Let go of bad habits and bad relationships. 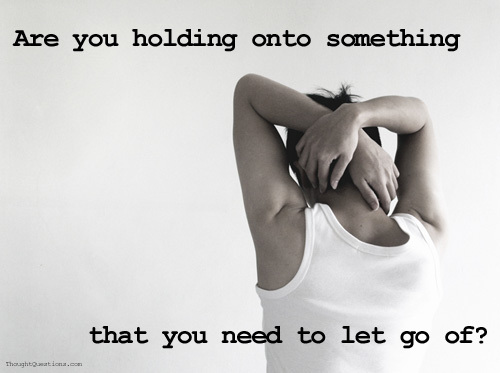 Let go of anything and everything that drags you down. Sometimes, however, loss will be of a different kind; the loss of a loved one. If it hurts (and it usually does) go ahead and cry. Let it out. We don’t have to understand why the people we love should leave us. We only have to understand that God’s perfect will is at play in our lives. Maybe now is the time to tell them what they mean to us before they are taken away. There are too many carbon copies in the world. In order to find your place in the world you must find yourself first. Quit trying to be like him, or like her. Trying to be like someone else is a total waste of time. The world is waiting for the manifestation of the real you. Remember that your first duty is to be true to yourself. Deep inside all of us, we know there is someone we were meant to be and we know when we are becoming that person. The opposite is also true; we know when something doesn’t feel quite right and we are not the person we were meant to be. Life is a journey. Let us continue to learn as we travel.